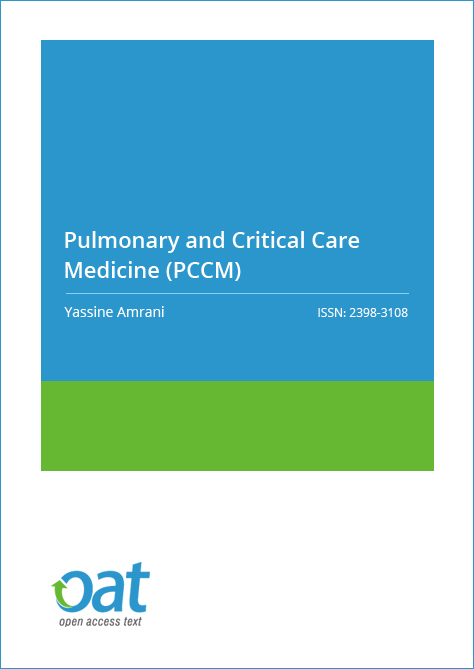 Pulmonary and Critical Care Medicine is an international, peer-reviewed, open access journal devoted to publishing clinically-relevant Pulmonary and Critical Care Medicine research. Pulmonary Medicine Journal provides a forum for the discussion of significant new information in the area of pulmonary medicine. Pulmonary Medicine Journal welcomes submissions on areas covering Chronic Obstructive Pulmonary Disease; Respiratory Infections; Clinical Practice Management and Critical Care. Pulmonary Medicine Journal accepts research, reports, editorials, reviews and commentaries on all aspects including chest, pneumonia, asthma, tuberculosis, emphysema, paediatric medicine, epidemiology, immunology and cell biology, physiology, occupational disorders and emergency care for the critically ill or injured patient. Pulmonary Medicine Journal will feature original research, review papers, mini review, clinical studies, editorials, expert opinion and perspective papers, commentaries, and book reviews. Images providing advances or unusual contributions to the field are also published. Copyright is retained by the authors and articles can be freely used and distributed by others. Articles are distributed under the terms of the Creative Commons Attribution License (http://creativecommons.org/licenses/by/4.0/), which permits unrestricted use, distribution, and reproduction in any medium, provided the original work, first published by Pulmonary Medicine Journal, is properly cited. Dr Yassine Amrani is an internationally-recognized clinical scientist in the field of asthma pathogenesis. He obtained his PhD in Respiratory Medicine (Pharmacology) with the highest honor “summa com laude” from the University of Strasbourg, France. Dr Amrani started his academic career at the University of Pennsylvania School of Medicine in Philadelphia, where he received his first appointment at the Department of Medicine in 2002. In 2007, he moved to the University Of Leicester (College of Medicine, Biological Sciences and Psychology) in the UK where he currently holds a tenured Readership (Associate Professor) in Respiratory Immunology. He is a member of the Institute for Lung Health and Principal Investigator at Leicester Respiratory Biomedical Research Unit at Glenfield Hospital. Dr Amrani’s main research activities is around the use of translational “bench-to-bedside” approaches that could help in the development for more effective therapies for the treatment of lung diseases including severe asthma and COPD that are poorly controlled by current therapies. Dr Amrani has developed a strong interest in the immunomodulation of lung structural cells including bronchial smooth muscle and their sensitivity with anti-asthma drugs under inflammatory conditions. One of Dr Amrani’s key contributions was to propose a novel concept that could explain the propensity of asthmatic airways to narrow excessively, a feature called bronchial hyperresponsiveness (BHR). The mechanisms of this exaggerated bronchoconstrictor response of the airways are still unknown. Dr Amrani studies showed that key pro-asthmatic cytokines such as TNF, IL-1 and IL-13 could directly act on bronchial smooth muscle and increase its sensitivity to bronchoconstrictor agonists via the modulation of calcium signaling. This concept could therefore explain the clinical benefit provided by anti-TNF (mab infliximab or fusion protein etanercept) or anti-IL-13 (lebrikizumab) therapies in severe asthmatics in recent clinical trials. This interesting area of research has since been confirmed and further explored by other independent groups around the world. The number of citations of the latest review written by Dr Amrani and colleagues in this particular field demonstrates the increasing interest and clinical importance of these findings (177 citations since 2008, Scopus). Dr Amrani’s other major interests is aimed at better understanding why patients with severe asthma fail to properly respond to current therapies including glucocorticoids and bronchodilator drugs. Up to 10% asthmatics who poorly respond to corticosteroid therapy are responsible for more than 50% of the total health care costs and morbidity related to the disease. These patients have also the highest risk of dying from asthma and represent a huge management challenge for clinicians and represent a significant unmet need and novel therapies are urgently required. A better understanding of the mechanisms leading to corticosteroid insensitivity may lead to new therapeutic targets. In 2006, Dr Amrani’s group demonstrated that corticosteroid insensitivity could be induced in bronchial airway smooth muscle when exposed to inflammatory cytokines. This original observation supports the novel concept that under certain “asthmatic” conditions, airway structural cells could also participate in the pathogenesis of refractory asthma via the production of corticosteroid-resistant inflammatory mediators, thus contributing to disease severity. Recently, Dr Amrani received a 3-year grant from the Wellcome Trust to investigate how mast cells act as key players in asthma exacerbations by reducing patients’ response to beta2-agonists, the other main therapy for asthma. Throughout his career, Dr Amrani received a total of $8 million worth of research and programme grants (as PI, co-PI and Co-investigator) from National Institute of Health (US), American Lung Association (US), Parker B. Francis Foundation (US). He is currently funded by the NIH (US), Medical Research Council (UK) and Wellcome Trust (UK) on grants. 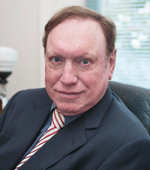 He has published over 90 peer-reviewed articles/reviews in top medical journals and wrote 9 book chapters in pulmonary medicine. His H-index is 35. He has delivered over 50 lectures in different Universities and acted as session chair at different meetings including American Thoracic Society (ATS) and American Academy of Allergy Asthma and Immunology (AAAAI). He served as a member of committee panels for funding bodies including NIH (USA), FAMRI (USA), and Health Research Board (Ireland) and ad hoc reviewer for the Wellcome Trust (UK), Medical Research Council (UK), British Lung Foundation (UK), Netherlands Asthma Foundation (Netherlands), Asthma UK (UK), Canadian Lung Association (Canada) among others and at least 25 prestigious top medical journals. He has trained more than 13 post-doctoral/clinical fellows and supervised the research project of 16 MSc students. He is currently a member of the European Respiratory Society (ERS).